The rod pump is connected to sucker rod after being assemblied on the surface then it is pulled down to the well bottom through the tubing. Thus it is convenient for the inspection and workover because they can be pulled up and down through the tubing and suitable for deeper well. The life span of tubing can be prolonged for decreasing the times of the thread of the tubingbeing turned on and off and the time of the workover. The rod pump can be classified into two types of mechanical seating and cup seating. 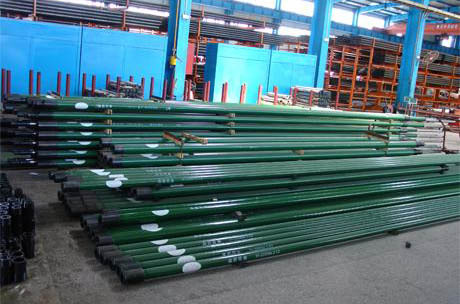 Also it is divided into three types as RHA (stationary heavy well barrel top anchor rod pump), RHB (stationary heavy well barrel bottom anchor rod pump) and RHT (travelling heavy well barrel bottom anchor rod pump).